CPCA’s HealthManagement+ Program Celebrates 5 Years of Training the Next Generation of Health Center Leaders! 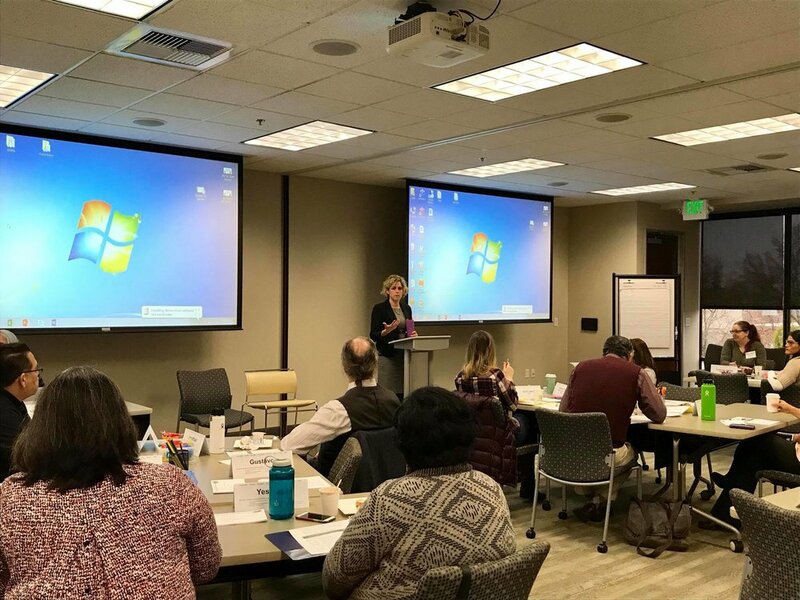 As a part of CPCA’s mission to provide community health centers (CHCs) with training opportunities to help them succeed in the ever-changing health care landscape, we partnered with the Kiely Group to deliver a cutting edge, constantly updated management training program for current and future primary care leaders. The HealthManagement+ program initially launched in early 2013 and consists of five webinars and five in-person days of training delivered over eight months. A cohort of 25-35 participants is selected from a pool of applicants, and all accepted participants are required to attend all learning opportunities in order to receive a certificate of completion. The program includes learning in various content areas that integrate 21st century perspective tools, and knowledge about such topics as operations, finance, technology, organizational capacity, leadership and management, strategy and planning, understanding the external environment, influence and communication, performance management, critical thinking and judgment, innovation, problem solving, sense making, project management, and building human networks. HealthManagement+ equips participants with cutting edge information and practical tools that can be used and applied immediately. 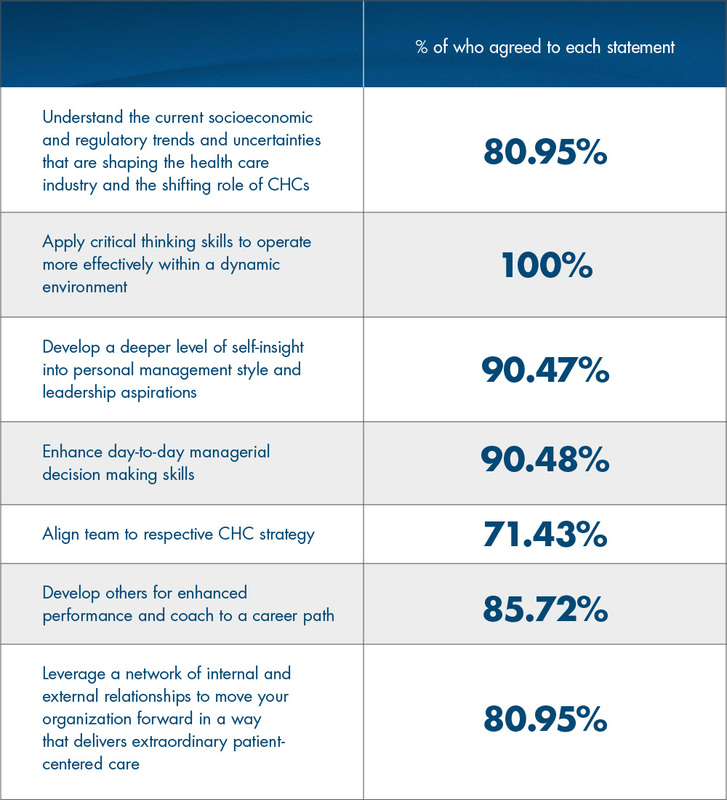 As of March 2018, CPCA and Kiely Group have successfully conducted eight complete cohorts of HealthManagement+. Cohort 9 began in March 2018, Cohort 10 will begin in June 2018, and Cohort 11 will begin in September 2018. To date, more than 150 health center and CPCA staff have participated in HealthManagement+. Based on the success of the program and the desire to continue learning and professional development among the alumni, CPCA launched an alumni network in April 2018 to create stronger links among all of the past, present, and future participants of HealthManagement+. The multi-modal alumni network program includes four 45-minute “lunch & learn” webinars on current health care and health center topics of interest, presented by CPCA staff subject matter experts, along with an in-person professional development session focused on management and leadership skills. In April 2018, we were fortunate to receive a discretionary grant from The California Wellness Foundation to provide 20 scholarships for participants from Orange, San Bernardino, and Riverside counties. We are thrilled to have this philanthropic support and recognition of the value of HealthManagement+ and look forward to leveraging this funding to secure additional resources for health center staff from other parts of the state in order to continue expanding and sustaining the program and the Alumni Network. In addition to growing and building upon our successful HealthManagement+ program, CPCA is also looking at other strategies to expand leadership development for CHCs. One strategy that we are evaluating is how to leverage the impact of the Clinic Leadership Institute (CLI), currently being managed by UCSF’s Healthforce Center. CLI has reached over 250 emerging leaders over the last decade and has an active alumni network. Over the coming months, CPCA will be strategizing about how to evolve and sustain this important program in a way that reflects the current and future needs of California’s CHC workforce.